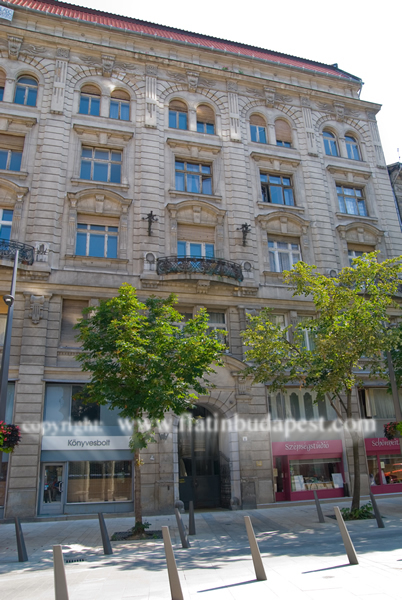 The apartment is located in the heart of Budapest, in Kecskemeti Utca (fifth district), only few steps from Vaci Utca, in front of the University of Law and in the vicinity of the Kalvin Square (Blue Line) underground stop. 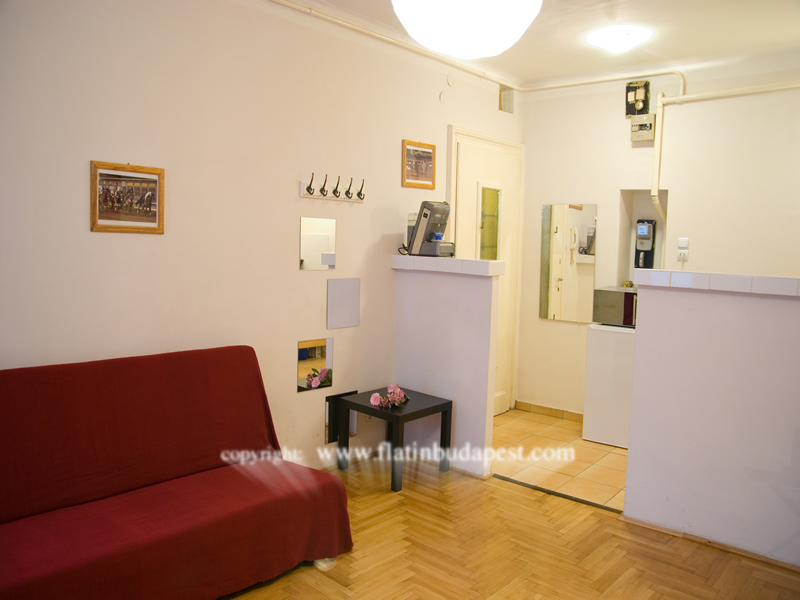 The house is located on the Pest side of the city, in the fifth district, in Kecskemeti street, opposite the University of Law, 1 minute walk from the famous pedestrian island of Vaci Utca and very close to Elisabeth Bridge (an historical bridge of Budapest). 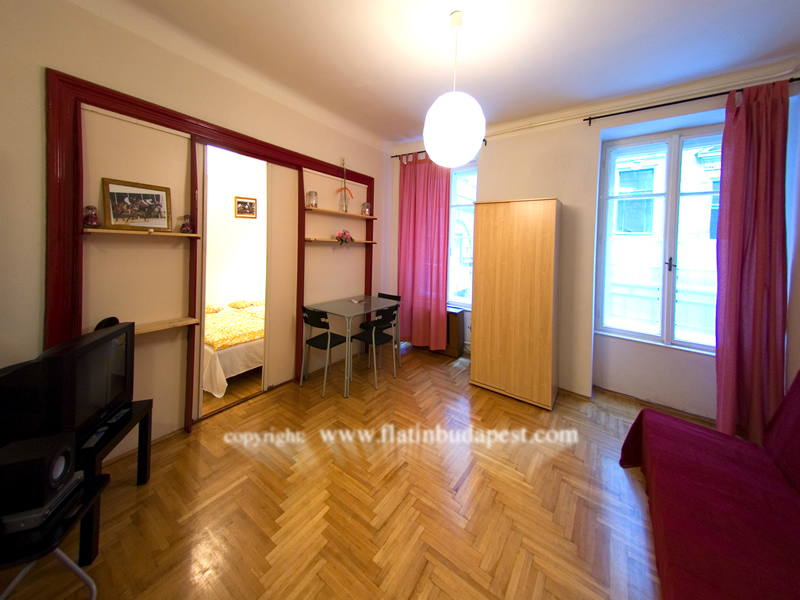 From the apartment you can easily reach every part of Budapest with public transport. 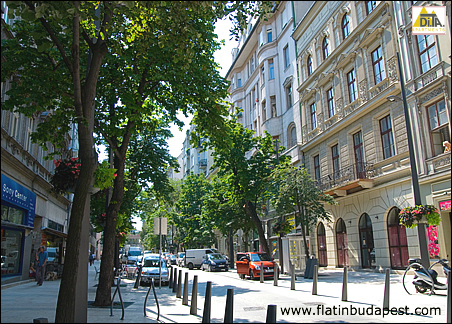 The apartment is only 100 meters from the Kalvin Ter (Blue line) Underground stop. 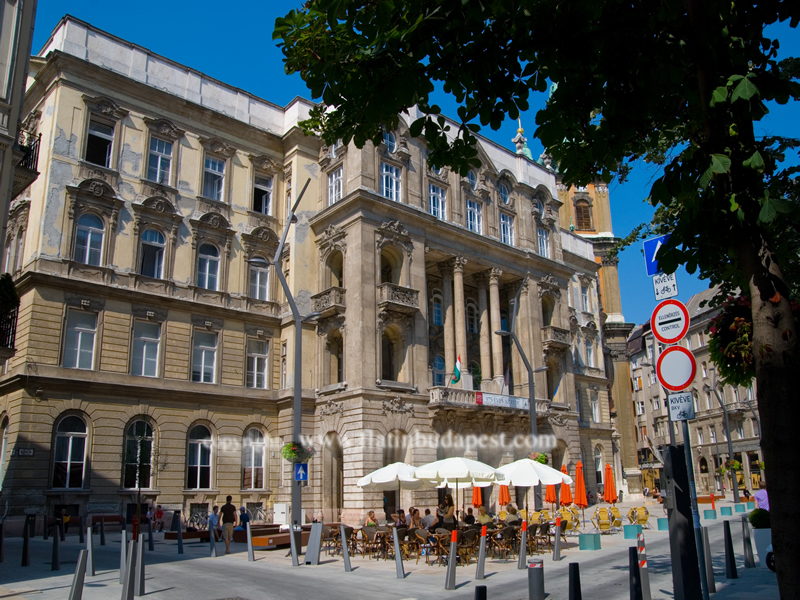 Externally the building is presented in a historical style, in fact has been built in 1896. The house is on the first floor with private entrance and staircase. The apartment overlooks a very quiet courtyard. 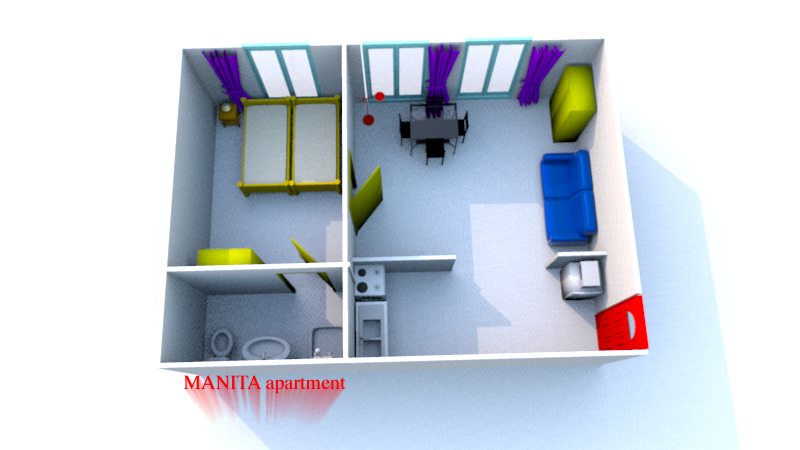 The apartment has 2 rooms, kitchen and bathroom. 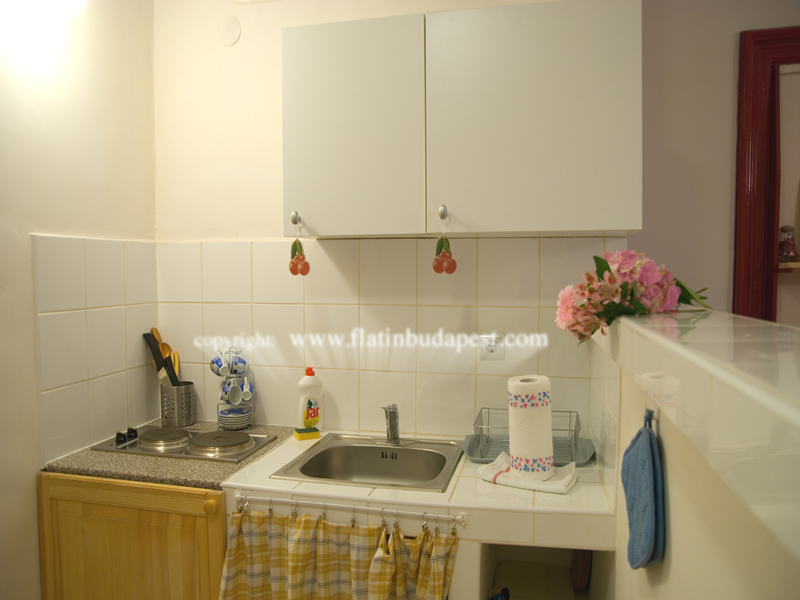 Entering you'll find a small but functional kitchen with everything you need for cooking (pots, cups, plates, oven and refrigerator ), on the right a 15 square meters room with a small table with chairs, cupboard and sofa bed. After a sliding door you'll find a bedroom with two single beds which can be combined to become a double bed, and a bathroom with shower. The house is warm in winter, thank to functional radiators, and cool in summer, without the aid of any conditioner. 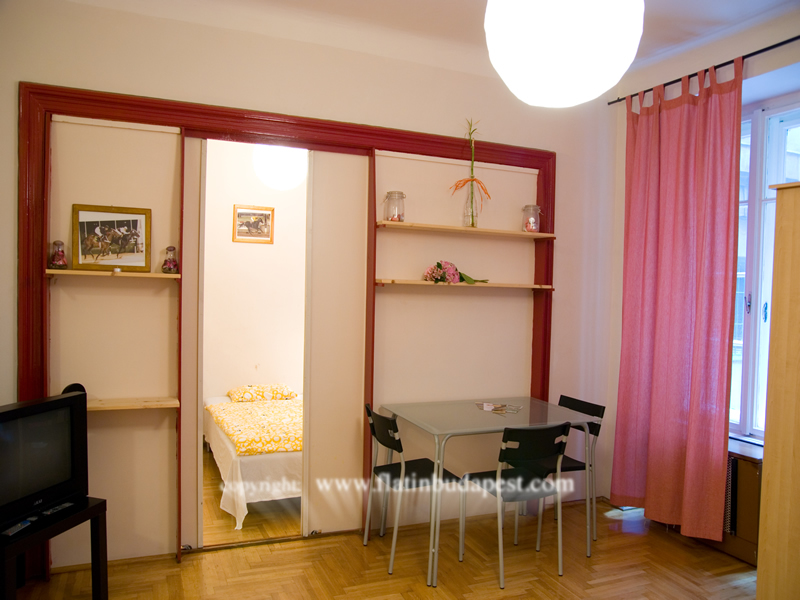 The apartment is finished with curtains, flooring (Parquet), and mirrors.